Bill (William J.) Halligan began building receivers for the ham trade in late 1932. He called his receivers "Hallicrafters"-a combination of his name and craftsmanship." Sales were slow due to the depression and just a few were made. RCA threatened him with patent infringements but apparently would not issue him a license. Consequently he began searching for a firm that had an RCA license. In 1933 Silver-Marshal, which had an RCA license, went into bankruptcy, and Halligan arranged to take over the company. He renamed it the Silver-Marshall Manufacturing Company. 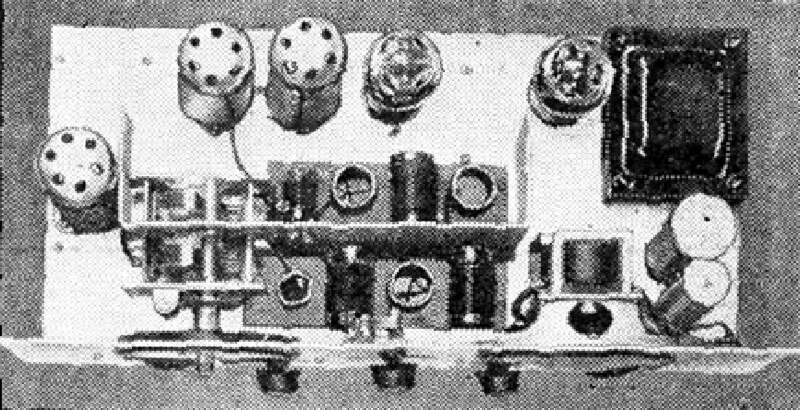 During this period Hallicrafters produced its first Skyrider" receiver described here. This operation soon became financially distressed and Halligan left the firm. He then made arrangements to take over the Echophone Radio Company which was also in financial trouble. Hallicrafters and Echophone merged and the firm took on the Hallicrafters name. 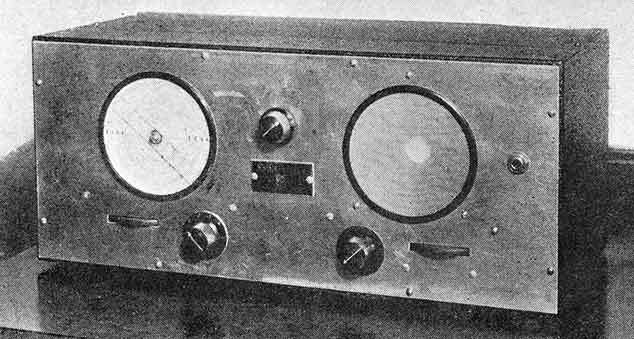 For a short time they did work for other radio manufacturers in order to build up cash reserves and in 1935 began making their own communications receivers. The SX-9 was the first model to be produced in any real quantity. According to the ads that appeared in the August 1934 issue of Radio News this receiver was made and sold by the Silver-Marshall Manufacturing Company but the November 1934 issue specified Hallicrafters, Inc. in which a similar-appearing "Super Skyrider" appeared. The "Super Skyrider" was a super-hetrodyne with an RF stage before the mixer. Following is the Radio News text concerning the Silver-Marshal-produced Skyrider. We feel that there is a definite need for a complete, very compact short-wave receiver, to bring in the whole short-wave band from 200 meters down. The Skyrider receiver described in this short article, is such a set equipped with a major tuning dial, calibrated in wavelength and frequency, control-led by a "thumb" knob, placed horizontally in the panel. This kind of a thumb control is also used for the regenerative control at the right of the panel. Located diagonally above this is the loudspeaker grill. An upper central control knob is a trimmer and two lower central control knobs are a wave-switch (on the left) and a gain control (on the right). The tuning of this little receiver is just about as simple and easy as the description of the front panel just made. The circuit employed is one that has always been famous among the amateurs but it has been rearranged and considerably simplified by using newest-type tubes (which are furnished with the receiver) matched in the laboratory. Starting at the aerial, the set uses a doublet antenna with a transposed lead-in and a separate ground. The doublet feeds into the red and green wires with the ground attached to the black wire coming from the receiver. The three sets of coils are arranged in connection with a wave-change switch, to tune the input to the first tube which is a radio-frequency amplifier, the input and the output to the second tube and also the regenerative plate circuit of the second tube which is the detector. These two tubes are the new 6D6 types. The regeneration control is a 25,000-ohm variable resistance. The output of the detector tube feeds into a 6C6 audio amplifier tube with the volume control in the grid circuit, as shown in the diagram. The output circuit of this stage feeds into a 42 tube, feeding the loudspeaker through a transformer. A 'phone jack is provided for listening-in for distance stations if desired. The whole receiver is fed by a self-contained power pack using an 80 full-wave rectifier tube. A careful perusal of the circuit diagram should clear all the circuit details, giving constants wherever possible. In testing out the .receiver in the Radio News Short-wave Listening Posts, it was used to bring in the usual run of short-wave DX signals. During these tests it took only a comparatively short time to become accustomed to using the regenerative sensitivity control without annoyance. A careful operation of this control increased the selectivity tremend-ously, as well as setting up a louder signal. Where a high degree of selectivity is required, the regen-eration control is set critically and the volume reduced by means of the gain control. The trimmer control was also found very useful in tuning in some of those hard-to-get stations. Beside the DX short-wave broad-casts, the set tunes in the following frequencies, in four steps: First from 200 to 97 meters-this frequency band covers aircraft, commercial 'phones, ship stations, amateur telephones, police calls; second, 100 to 48 meters-this band covers foreign and domestic broadcasts, airport transmitters, beacons, commercial 'phones and amateurs; third, 50 to 27 meters-short-wave broadcast stations, amateurs, commercial 'phones and a few aircraft stations; and fourth, 29 to 12 meters-this band covers the low-wavelength DX broad-cast stations, a raft of international 'phones, the 20-meter amateur band and just takes in some of the frequencies of the Byrd expedition, including Buenos Aires. As can be seen from the photographs, the set is simple, neat and business-like in design and lacking most of the ordinary ornamental "trim" of some receivers. The receiver is enclosed in a crackle-finish metal shielded cabinet with a front panel of Eurado, a brightly lacquered metal. The loud-speaker bezel is the same diameter as the tuning dial. The size of the set, overall, is 17 inches by 7-1/2 inches by 7-1/2 inches. Its total weight, packed ready-to-ship including tubes and coils, is 24 pounds. It makes an excellent job for listening to amateur telegraphy as well as to broadcasting.